I am still a little bit laid up with a cold I picked up (wash your hands!!!) 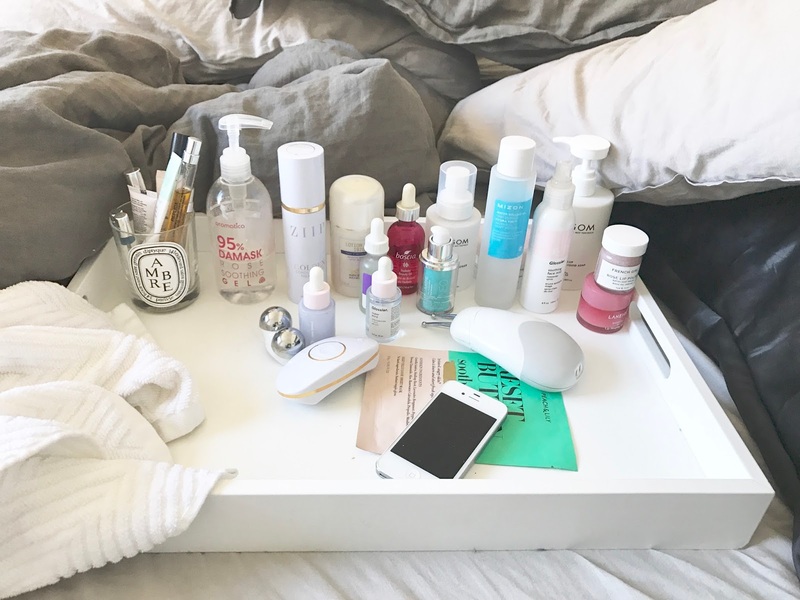 and so I decided to fill a tray with all my toys and give myself the ultimate home facial. From my bed I watch instastories where the celebs prepped using many of the same devices and treatments I had in my magic tray. I swear, seeing my dewy, depuffed face made me feel so much better. Possible cure for the common cold? Should we prepare a study? Anyways, here's the step by step of what I did, in what order. Plus some bonus after shots where I am still prone but looking all kinds of bouncy and supple and whatnot.